Determines a woman’s risk of having ovarian cancer. 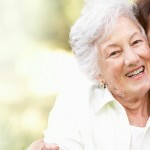 The ROCA Test is intended for women who are between 50 and 85 years old and have been through menopause, or between 35 and 85 years old with a family history of ovarian and/or breast cancer, are of Ashkenazi Jewish descent with a known family history of ovarian or breast cancer, or have tested positive for BRCA1, BRCA2 or Lynch syndrome gene mutation. The ROCA Test is available through a number of private clinicians across the UK. Any woman interested in being screened using the ROCA Test must have a consultation with a clinician, so that she can understand the latest clinical evidence, and gain an informed view on the benefits and risks of being screened using the ROCA Test. During the consultation, the clinician will assess your risk of ovarian cancer and your suitability for the test. Anyone interested should please get in touch with us on 0845-474-0003 or at rocatest@abcodia.com and we can find a clinician near you. To mark World Ovarian Cancer Day on May 8, 2018, the All Parliamentary Party Group (APPG) launched the report of the group’s first ever inquiry ‘Diagnosing ovarian cancer sooner: what more can be done’. The report examines what more needs be done in the prevention, screening, awareness and diagnosis of ovarian cancer. The UKCTOCS and UKFOCSS trials are discussed.